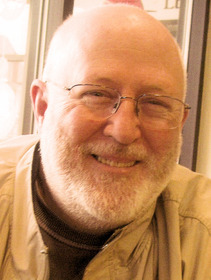 Steve Glines, in addition to being the editor of Wilderness House Literary Review, is an essayist, journalist, storyteller, occasional poet and bon vivant. His motto is, “The best is barely good enough.” Steve has published six books, only one of which might be considered even remotely “literary,” a travelogue about Fiji. He has been published in Ibbitson Review, the Belmont Citizen, the Littleton Independent, Unix Review, Technology Review and the Boston Globe among others. He has never been published in the Paris Review, the AntiochReview, Crazyhorse, The Atlantic Monthly and the Kenyon Review. To these awesome credentials it should be added that he has never received a McArthur Award nor been nominated for a Pulitzer Prize. Still, for some reason, people like what he writes and, on occasion, even pay him for it. It's a sickness, a compulsive need to put words to paper. Winston Churchill, Bertrand Russel, Edward Gibbon, Hemingway, Fitzgerald, ... and many others, mostly dead guys.